The listing below reflects those events going on in our community. 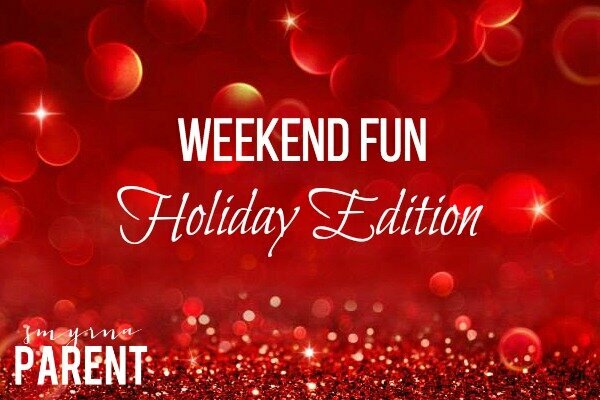 For a look at the amazing holiday events happening in the Greater Atlanta Area and beyond, check out our Holiday Events listing. Christmas House Arts and Crafts Show, Mableton. December 5 – 14 at Mable House Arts Center. Mable’s Tea Room, Mommy and Me Tea, Silent Auction and a large variety of handmade items from 70 exhibitors. Runs Mondays – Saturdays, 10am – 6pm. Sundays, 2pm – 6pm. Spectrum Story Time. Smyrna Public Library. 10:30 – 11. Designed for children with Autism Spectrum Disorder, Spectrum Story Time includes several sensory integration activities and a story for children and their caregiver. Class is limited to 8 children. Please call 770-431-2860 x3 to register or for more information. Comic Book Sale @ Switzer Library. Marietta. 11am – 6pm. We have a large collection of comic books (most boarded and bagged). Come by and get your holiday shopping done early. The sale is open the same hours as the Switzer Library. The sale will continue throughout the month of December. Santa House at Aunt Fanny’s Cabin. Smyrna. 6pm – 8pm. Visit Santa in a more laid-back atmosphere than the mall locations offer. Donations benefit the Smyrna Optimist Club. One photo will be provided. The Elf on the Shelf: A Christmas Tradition Story Time. Barnes & Noble. Smyrna. 7pm. Join us on Friday, December 12 at 7:00 pm for a special holiday Storytime featuring The Elf on the Shelf: A Christmas Tradition. Children will enjoy a Storytime, scavenger hunt and crafts. Santa in the Square. Marietta. 10am – 6pm. Photos with Santa are available, and afterward visitors are encouraged to visit the shops and restaurants surrounding the Square for fun holiday gifts and great food and drinks. H0, H0, H0! A Santa and Reindeer Storytime. West Cobb Regional Library. Kennesaw. 3pm – 4pm. Join us for a holiday storytime featuring songs and books about Santa Claus and his reindeer. A craft will be included. No registration is required. Audience: for all those that believe in the magic of Christmas! Disney Junior Live On Tour! Pirate & Princess Adventure. 7pm Cobb Energy Performing Arts Centre. Tickets start at $20. This pre-holiday event features characters from the smash hits Sofia the First and Jake and the Never Land Pirates, in a 103-city national tour. In this original storyline, Mickey and Minnie Mouse lead the audience on an exciting adventure that will have families rooting for their favorite pirate Jake and Disney’s first little girl princess, Sofia. The show begins with a special interactive pre-show featuring the loveable six-year-old doctor to toys and stuffed animals, Doc McStuffins. Children and their parents will sing the “I Feel Better” song along with Doc as she provides tender love and care. Santa in the Square. Marietta. 11am – 5pm. Photos with Santa are available, and afterward visitors are encouraged to visit the shops and restaurants surrounding the Square for fun holiday gifts and great food and drinks. Comic Book Sale @ Switzer Library. Marietta. 1pm – 5pm. We have a large collection of comic books (most boarded and bagged). Come by and get your holiday shopping done early. The sale is open the same hours as the Switzer Library. The sale will continue throughout the month of December. Disney Junior Live On Tour! Pirate & Princess Adventure. 11am & 2pm Cobb Energy Performing Arts Centre. Tickets start at $20. This pre-holiday event features characters from the smash hits Sofia the First and Jake and the Never Land Pirates, in a 103-city national tour. In this original storyline, Mickey and Minnie Mouse lead the audience on an exciting adventure that will have families rooting for their favorite pirate Jake and Disney’s first little girl princess, Sofia. The show begins with a special interactive pre-show featuring the loveable six-year-old doctor to toys and stuffed animals, Doc McStuffins. Children and their parents will sing the “I Feel Better” song along with Doc as she provides tender love and care.